Stress is something many of us will experience at some point in our lives. We may find that we have a situation at work, a relationship breakdown or going through a rough patch to blame. But are we really aware of the effects it can have on us rather than just how we think and feel? 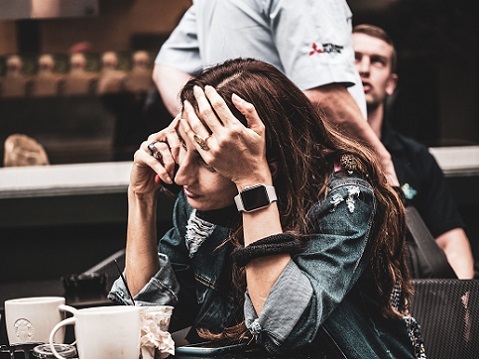 There are surprising side effects of stress that you may actually be struggling with right now and wouldn’t know that it could be stress or your current circumstances being the cause of them. Here are some of the most common issues brought on by stress. Are you struggling to sleep? This might be getting to sleep in the first place even though you know you are tired. It might be struggling to stay asleep and waking in the middle of the night for no reason, therefore breaking your sleep cycle and causing you to feel more tired. Sleep is important for us as this is the time our bodies repair and rejuvenate. Stress can have a huge impact on our thoughts and subconsciously in our sleep this could be the reason you might be struggling at night. Surprising your hearing can be affected by stressful situations and it may not be as common as some of the others, but you can develop things like tinnitus which can cause a loss of hearing. Or where you hear sounds that can’t be heard by other people. Of course, there are treatments for this, and hearing can be returned. However, you may also need to think about the use of hearing aids should the problem persist. If you are struggling with your hearing, try and work out what might be causing it. The workplace, the stress of difficult situations as well as loud noises could all be having negative impacts. People often go one of two ways when it comes to their eating habits and stress, they either lose their appetite or they comfort eat as a substitute for something else. Stress can make you react in many different ways and food can often be one of the most common side effects of stress. You may not notice it straight away, but if you suddenly feel or look a little different then look at your eating habits and what might have caused the sudden change. Stress can be caused by all sorts of factors, but if not handled in the right way that stress can often lead onto other mental health issues such as depression or anxiety. This is when a situation that has caused you stress may have prolonged in some way or caused more harm to your current lifestyle. If you are finding things hard don’t be afraid to talk to someone or confide in your doctor. A very common side effect of stress is low energy levels. Often we imagine a stressed person to be agitated or frustrated and this can be true, but it can also affect your energy levels in a different way and zap you. You can feel tired more, less inclined to do things, or sick with worry over something, which can cause your energy levels to deflate. Let’s hope this has made you more aware of exactly what your stress levels could be doing to you and your body.